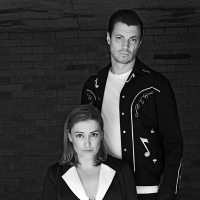 The Rails are singer Kami Thompson and guitarist husband James Walbourne. They released their debut album "Fair Warning" in 2014, produced by Edwyn Collins. The album also features fiddle player Eliza Carthy.